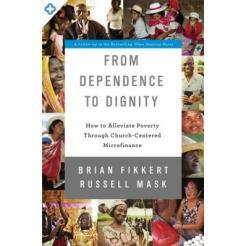 An online Video-Based Study on alleviationg Poverty. Link included in each of the six sections in this book. 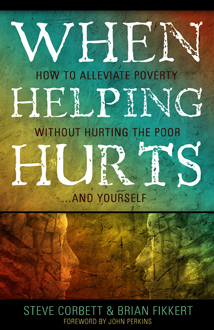 When Helping Hurts is a paradigm-forming contemporary classic on the subject of poverty alleviation and has sold over 225,000 copies. Now there is a stand-alone resource to introduce this paradigm in an accessible way. Rather than simply looking at the economics, it looks at the poverty of relationships between man and God, man and man, man and creation, and man and self. Utilizing free, online video lessons set both in Africa and the United States, the Small Group Experience is the ideal resource for small groups, Sunday school classes, parachurch and non-profit ministries, ministry training, and even individuals. In six lessons, the concepts of When Helping Hurts are brought to the reader in a format that is perfect for training, discussion, and application. It is in ideal introduction to life-changing ideas and offers the perfect context for engagement. The video provides expert instruction and the Small Group Experience provides questions and prompts for conversation, deeper learning, and taking action.